It feels like it’s been raining here forever. Well, a week feels like forever when you’re couped up inside. And what happens when I’m couped up inside? I spend far too much time trawling the fertile fields of the internet looking for a little nutrition and a whole lotta pretty. Our beautiful main image of kale comes courtesy of Debbie G.
In a staggering feat of organisation, some 150,000 plants were ‘installed’ on Paris’ Champs-Elysees in one night, creating 1.2 kilometres of urban farm. Young French farmers wanted to impress on the public and government, the efforts required to produce what goes on the table. See the slideshow, watch the video – be dazzled by the brilliance! I have been known to rabbit on about how plants can save the world. Well, there’s a very good post on plants purifying water at Talking Plants. Read the study on using prickly pear cactus Opuntia ficus-indica to purify water by removing sediment and bacteria here. Read botanical information about prickly pear & info on the other values of the plant here. There’s a food fight gearing up over at Seed Magazine – what’s looking like an intense debate on the future of food, sustainable agriculture and organic and industrialised models. Political scientist Robert Paarlberg goes head-to-head with ecologist Dr. Michael Jahi Chappell. Introductions and Round 1. Emily Harris is working to bring rooftop food gardens to Auckland city. Steinlager is doing a promotion and giving way $100,000 in funding to someone’s ‘grand vision’. I think Emily deserves the bulk of it. Watch her video here and join the Facebook page for Urban Pantry. Now sign up and give this woman some love! Plankton is the key to ocean life. Phytoplankton convert energy from sunlight into food for tiny animals called zooplankton. These in turn become food for larger animals. 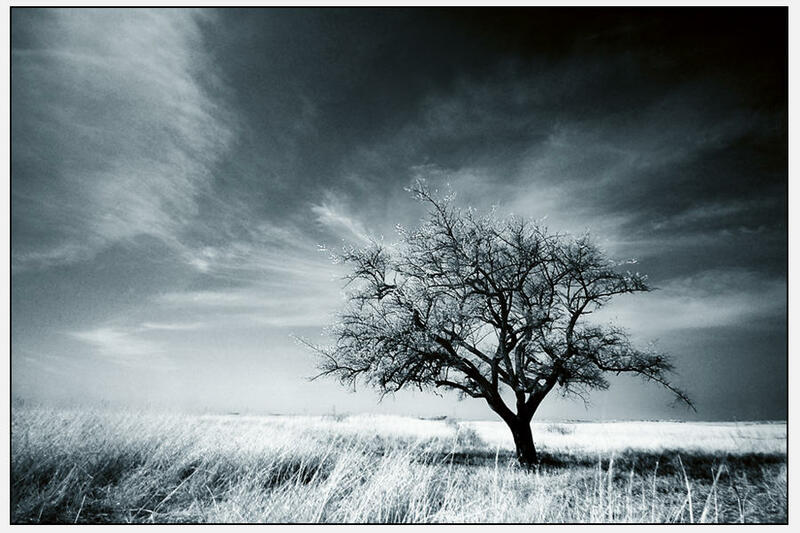 They also provide nearly half of the earth’s atmospheric oxygen and absorb carbon dioxide from the atmosphere. When they die, they sink to the ocean floor where the carbon they took from the atmosphere is stored for thousands of years. 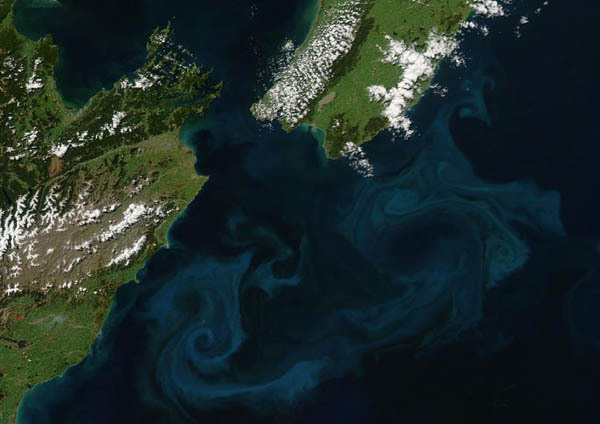 In spring, more light penetrates the surface waters and phytoplankton grow rapidly, reaching a peak in New Zealand around September and October. Off the east coast of New Zealand, cold rivers of water that have branched off from the Antarctic Circumpolar Current flow north past the South Island and converge with warmer waters flowing south past the North Island. The surface waters of this meeting place are New Zealand’s most biologically productive. This image of the area on October 25, 2009, from the MODIS sensor on NASA’s Aqua satellite shows the basis for that productivity: large blooms of plantlike organisms called phytoplankton. Phytoplankton use chlorophyll and other pigments to absorb sunlight for photosynthesis, and when they grow in large numbers, they change the way the ocean surface reflects sunlight. Caught up in eddies and currents, the blooms create intricate patterns of blues and greens that spread across thousands of square kilometers of the sea surface. Photo Credit: NASA/MODIS Rapid Response/Jeff Schmaltz. Caption Credit: Rebecca Lindsey, NASA Earth Observatory.